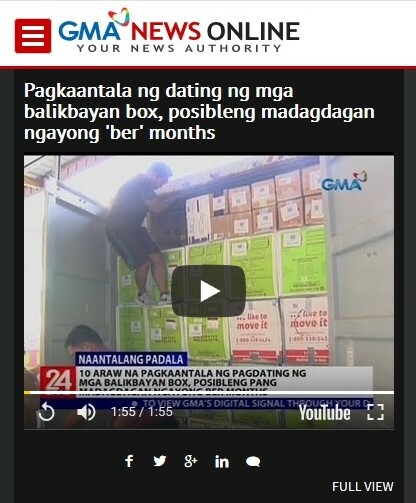 Already delayed arrival of Balikbayan Boxes to get worst during the “BER” Months. The North and South Harbours of Manila are currently congested causing docking delays of vessels carrying containers of Balikbayan Boxes. The entry of the “BER” months makes the ports busier because of increased importation of meat products and other ingredients for Noche Buenas. The Christmas fruits are expected to arrive beginning of November. Send your Balikbayan boxes as early as possible.